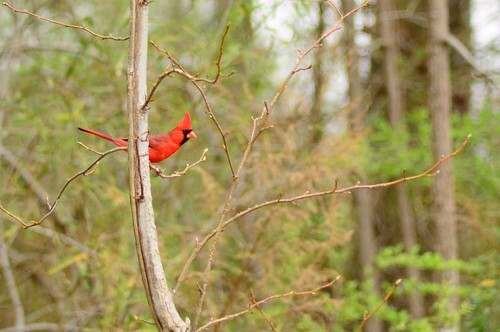 There is an old superstition that whenever you see a Cardinal, also called simply "a red bird" here in the South, that God is near. If that's the case He must be all around our house this spring. I need Him to be there right now. And I believe He is present when you need Him most.